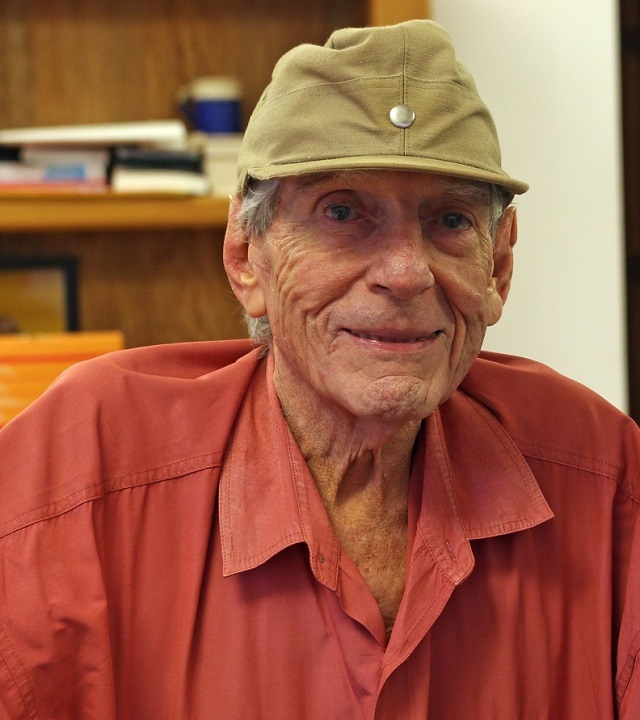 (Seychelles News Agency) - Former Seychelles President France Albert Rene says that Seychelles is making huge progress, advances that may not have happened if the island nation had remained under British rule. On the eve of the island nation's 40th Independence Day, Rene, 80, spoke with SNA about the road to independence, the reason behind his determination to see the island break away from Britain and what he feels has been accomplished the last four decades. SNA: Good day Mr President. On June 29 Seychelles marks the 40th anniversary of its independence. What is your sentiment, thinking back to that day in the history of Seychelles? FAR: It was a great day because it followed a lengthy struggle. Since 1964 we fought hard to gain our independence and our country because Seychelles belonged to the British. They even turned some of our islands into what is known as the British Indian Ocean Territory (BIOT). We were totally against this and asked that our islands be given back to us allowing the Seychellois people to chart its own future. During those times there was a lot of poverty in Seychelles, there were no developments and Britain was not interested in developing Seychelles. That is why we (Seychelles People’s United Front – SPUP) were in favour of independence while another political movement (Seychelles Democratic Party) wanted Seychelles to remain under British rule. SNA: As you mentioned there were two camps; one campaigning in favour and the other against independence. Why was your party the SPUP fighting hard to gain independence? FAR: I appreciated the fact that Seychelles had one of the greatest riches, the vast waters that surround the islands could produce much more. We have almost an entire ocean to ourselves which could produce fish, we could invite tourists to visit our shores and these were the sort of developments I had in mind. But this could not be done while still under British rule. We lived in a society where there was great disparity between those who had much wealth and those who were poor and there were many were very poor. I also come from a poor family, and I believed that we needed to work hard to change the situation. It was a long struggle on the road to independence, there were lots of demonstrations, and we even created unions and had strikes. I believe every Seychellois should know about the struggle that went on year after year starting in 1964 until Britain finally agreed to see what can be done. This is when we started to have meetings and discussions and continue to push for our independence. Even at the last minute the other party (SDP) did not want independence and wanted to keep the attachment to Britain but we in the opposition managed to convince the party’s leader that he could take on the leadership of the country if we completely attained our independence. Unfortunately they were not convinced that Seychelles could become a nation where people could work, get an education and be given the opportunity to move forward. SNA: Independence did come on June 29. However almost a year later there was the coup that overthrew James Mancham as the president of Seychelles. What led to this course? FAR: Mr Mancham was not in favour of a lot of development, he even said we should find a way so that one can be president for life. Those who recall will agree that he was rarely in Seychelles and we had to do all the work. We tried but we could not do much without his consent and it’s for this reason that that a lot of people said we should make a change but to do it without any violence, without any bloodshed. Unfortunately in the process there were a few deadly incidents which were not intentional. After taking control we changed the entire system, we had popular elections we had the districts we brought in education in the schools in all districts. We also created the National Youth Service (NYS). Why create NYS? Because at that time the colour of skin made all the difference. If you were white you had a chance, if your skin was fair it was something else and of you were dark skinned you were last, and we did not agree with this. We wanted all children to go to one place and together at the NYS they learnt to become brothers and sisters and this served as the basis of our development. SNA: 40 years on, would you say Seychelles has achieved the development/vision you had when you took on the leadership on the island nation? FAR:I believe it has about come quite fast, although it’s taken time for the Seychellois people to be trained and I believe education has played a key role. Today we have a lot of young people who are doctors, ministers, lawyers we have almost everything in that sense and we are on the right path for further development in all aspects, be it education, health, tourism and we are making huge progress which I believe would not have happened had we remained where we were. Today, in my old age, I view this as a great success that has been achieved by the ruling ‘Parti Lepep’ before that SPUP/SPPF. We have made mistakes, everybody makes mistake but we have been able to correct those and are still correcting the mistakes. Today we have a government that remains attentive to what people are saying and try to see where it can do better. SNA: Under your rule it was more a socialist system, but over the last couple of years under President Michel the country has moved into some form of capitalism. How do you view this shift? FAR: We tend to play with the words socialism and capitalism, but I would say we have a democratic society. We have the socialist aspect, in the sense of free education, free medical services but this needs to be supported by capitalism, where people need to work to pay taxes, duty which are necessary to support the socialist base. This means both work together, socialism alone doesn’t pay --capitalism alone is not fair. We are in the middle and I believe we need both for our society to function properly. SNA: June 18 – the day Seychelles adopted its present constitution was the national day was until 2014 but this changed in 2015 when the Independence Day was declared the National Day. How do you view this change? FAR: It’s an effort made by ‘Parti Lepep’ to have more people come to accept a date that we all agree upon instead of June 18 the date that democracy was restored after the coup on June 5, 1977. June 18 was the date we started to try and work together, but some people were still not happy hence the reason we have decided to have June 29 as the National Day. No one can deny we were all together when we achieved independence. SNA: Looking to the future what advice would you give to the younger generation? FAR: I would call on the younger generation to seize opportunities that are available it all depends on them. Seychelles has been recognized worldwide as a country that has made the most progress as a former colony. When I look around I see many foreigners, the younger generation should take up training opportunities that are available to take over from these foreigners. Sometimes we see foreigners doing work that Seychellois themselves could easily be doing. Editor’s note: René founded the ‘Seychelles People’s United Party’ (SPUP) in June 1964. It became the ‘Seychelles People Progressive Front’ (SPPF) in June 1978 and in June 2009 the party’s name changed for a third time to what it is known as today ‘Parti Lepep’. 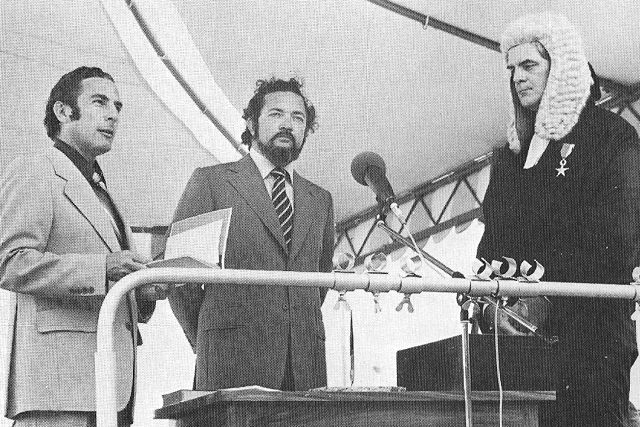 Rene became the Prime Minister on June 29, 1976 in a coalition government formed between the Seychelles People’s United Party (SPUP) and the Seychelles Democratic Party (SDP) led by James Mancham who became the first President of the island nation. Rene took over as president on June 5, 1977 following a coup that overthrew Mancham from power. René ruled the Indian Ocean archipelago as as socialist one-party state until 1992 when a multi-party system was introduced. He then stood for three elections and won each one of them with a large majority. He stepped down in 2004 when he handed over power to James Michel, who had served in his cabinet since 1977.